Dinesh Weerakkody has written an interesting article in the Daily FT titled ‘What makes some countries rich and others prone to poverty’ on 18 November. This topic was much debated and there was no conclusion. In 1970s Swedish economist and sociologist Gunnar Myrdal (1898-1987) raised the question through his work, Asian Drama – An inquiry into the poverty of nations where he discussed the situation of Sri Lanka then Ceylon as well. Dutch social psychologist Geert Hofstede wrote Culture’s Consequences in 1983 where he developed cultural dimensions theory. He identified four dimensions of national cultures, namely, Power Distance, Individualism, Uncertainty avoidance and Masculinity. Later two more dimensions were added. High Power Distance works against innovation and creative thinking of a society. High Uncertainty avoidance limits the risk taking ability of a society which constrains entrepreneurship. Following chart shows those indices of few Asian countries and of USA. It is difficult to find any direct relationship of these indices and economic statuses of those countries. However in Sri Lanka innovation is affected by high Power Distance which demands conformity by the parents and teachers from the children and students and by the company heads from their employees. The degree of risk taking is affected by moderate Uncertainty avoidance. Weerakkody quoted Michel E. Porter, a Harvard Professor who has written several books on strategy. Porter identified five forces, driving industry competition. He identified determinants of national competitive advantage as well. Those are firm strategy, structure and rivalry, related and supporting industries, factor conditions and demand conditions. There are two additional variables, chance and government. Porter identified wars under chance. Sri Lanka had to face a 30-year ethnic war and also two more rebellions in the south after independence. Although Sri Lanka boasts that not a single drop of blood was shed in the name of independence, the country shed enough blood after independence just because it was not able to put the record straight at the time of independence. Lee Kuan Yew once said the problem of Sri Lanka was the inability to manage ethnic conflict. We still are not able to do so. Managing the ethnic conflict is a prerequisite for sustainable development. 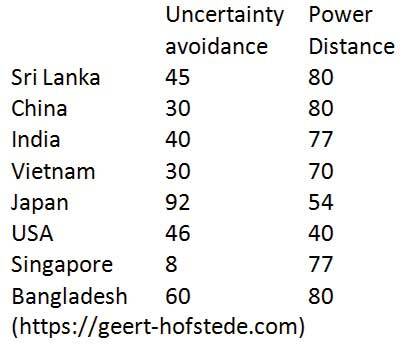 That is one major reason why Sri Lanka is in its current status. 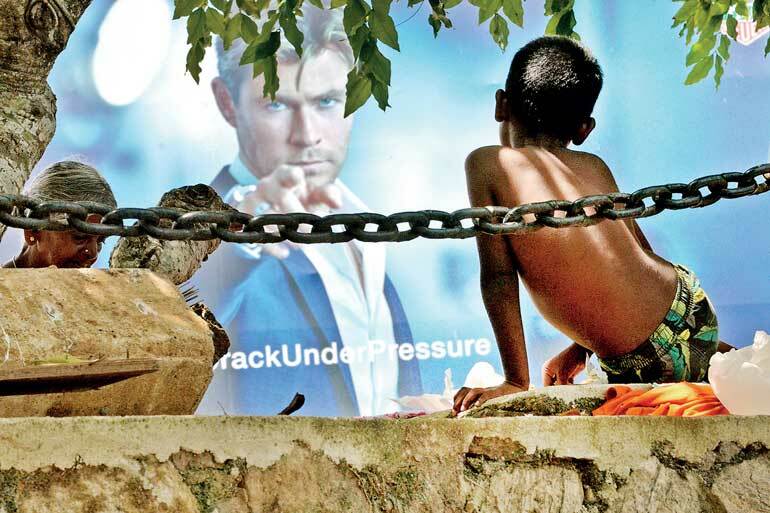 Sometime back in Sri Lankan villages, entrepreneur, ‘Mudalali,’ was not placed in high esteem. Instead a school teacher was placed in a high esteem. Knowledge was placed in a higher position than entrepreneurship. The situation changed after the introduction of open economy in 1977. There was a cultural change introduced to Sri Lanka with the introduction of open economy. Value given to money increased in relation to the value given to knowledge. Some interpreted and criticised this as a system of getting money even by killing dogs – Ballo marala hari salli hoyala. This social recognition was much needed for money and eventually entrepreneurship in order to develop the country. President Jayewardene did this intentionally I suppose. If Sri Lanka wants to improve the current status, entrepreneurship should be respected and valued throughout the country. In Sri Lankan Buddhist villages, contentment with what one has is practiced. In personal capacity I also practice this. It would give dividends at personal level but not at national level. It would make people less ambitious and in turn less industrious. This would affect Gross Domestic Production (GDP) of a country. One of the Dhamma Texts was – the noble way of life – Aliya Vasani. Scholars say that this would most probably be Ariyawamsa Sutta (Anguttara Nikaya 28) (https://www.cs.colostate.edu/~malaiya/ashoka.html). Ariyawamsa Sutta talks about contentment with the basic requirements of a Bhikku, clothes, food and shelter. Buddha himself gave much importance to this sutta since he described and valued the contents of this sutta with seven words whereas Satipattana sutta was described and valued in five words only. Rasavahini which was written in Polonnaruwa era described many stories that there were all-night sermons of Ariyawamsa Sutta. This would have happened in several centuries so that the value would have been clearly established in the minds of Sinhala Buddhists. If we have a content nation it would improve the Gross National Happiness Index. This should be the ultimate objective. However this may work against improving GDP of the country. Sri Lankan businessman in general place less importance on quality. They are more interested in short-term gains rather than long-term building of a brand. In export businesses, it is of paramount importance that the quality of the goods supplied is of the quality promised. The cinnamon industry where the production is with the small-scale planters suffered a lot due to poor quality of exports. In Sri Lankan society, entrepreneurship is not popular. They like to take lesser risks. In the market there is more demand for accountants rather than engineers or marketers. Accountant is not a forerunner in the field of business but rather he ensures conformity which is very vital in sustainability. If an accountant wants to be an entrepreneur at that point he should shed that mentality of conformity. Products of free education have inward thinking. They do not have creative and revolutionary thinking as expected by Ven. Velivitiye Soratha, the first Vice Chancellor of Vidyodaya University. Some of them want to sacrifice their well-paid private sector jobs in favour of Government jobs in order to secure a pension at the end of the carrier and to work leisurely. Work leisurely is a by-product of contentment and it would not serve in achieving Nibbana even. Buddha said in satipattana sutta that one has to work ardently – atapi – for it. Prevalent Sinhala Buddhist thinking of the country promotes neither worldly achievements nor spiritual achievements. It is protectionist, narrow and arrogant. It inculcates fear and hence is anti-innovative. It has the historical power and potential of creating an inclusive Sri Lanka but it promotes separation. Inherently it should be strong but in practice it is weak. We have a fiscal deficit in Government accounts and a deficit of balance of payments in national accounts. It was eternal and as a result the country is debt-ridden. Around 50% of top 25 companies are banks and financial companies. Manufacturers and exporters are not duly represented there. Everything is lopsided. The future of Sri Lanka lies with the small and medium scale entrepreneurs. In order to support them, an entrepreneur-friendly culture should be created. We need them in thousands or rather in hundreds of thousands. They should engage in manufacturing and exports of products or services as well and connected to international supply chains rather than engaged in mere buying and selling businesses. Income distribution of this country is not that good. The country faced three armed struggles after independence. Therefore the benefits of development should go to the masses. The country can kill two birds with one stone with the promotion of small and medium scale entrepreneurs.